Israeli soldiers killed, Saturday, four Palestinians, and injured 316 others, including 14 who suffered life-threatening wounds, during protests across the perimeter fence, in the eastern parts of the Gaza Strip. 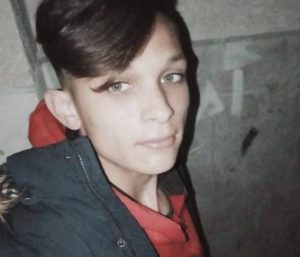 On Saturday at night, a Palestinian teen, identified as Bilal Mahmoud Najjar (Abu Jamous), 17, from Bani Soheila near Khan Younis, in southern Gaza Strip, died from serious wounds suffered earlier after the soldiers shot him with live fire. The Palestinian Health Ministry has reported that, among the wounded are 86 children and 29 women. Hundreds of thousands of Palestinians gathered on lands near the perimeter fence, marking Palestinian Land Day, and the first anniversary since the beginning of the Great Return March. 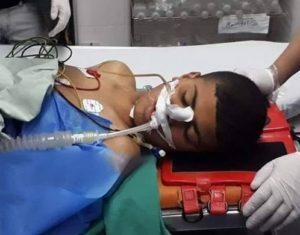 On Saturday evening, the Health Ministry in Gaza said the soldiers killed Tamer Hashem Abu al-Kheir, 17, after shooting him with a live round in the chest, east of Khan Younis, in the southern part of the coastal region. His death came just hours after the soldiers killed Adham Nidal ‘Amara, 17, who was fatally shot during the processions east of Gaza city. On Saturday morning, the soldiers killed Mohammad Jihad Sa’ad, 20, east of Gaza city, before the Great Return March processions started. 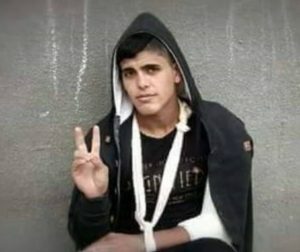 Mohammad was killed after being struck with a bullet shrapnel in the head, near the perimeter fence, east of Gaza city. He was from the Sheja’eyya neighborhood in Gaza city; his corpse was moved to the Shifa Medical Center. Among the injured Palestinians are three medics and seven journalists, while the soldiers also caused damage to three ambulances. Tamer Hashem Abu al-Kheir, 17. Five Palestinians suffered critical wounds. Nine Palestinians suffered serious wounds. 64 Palestinians were shot with live fire. 16 were shot with rubber-coated steel bullets. 13 were injured by shrapnel from bullets. 46 suffered the effects of teargas inhalation. 94 were injured by shrapnel from gas bombs. 83 suffered cuts and bruises. 64 suffered head and neck injuries. 55 injured in the upper limbs. 16 suffered chest and back injuries. 18 injured in the Pelvis and abdomen. 125 injured in the lower limbs. 4 suffered injuries to various parts of the body. 39 in the northern parts of the Gaza Strip. 108 in Gaza city area. 41 in Khan Younis, southern Gaza Strip. 55 in Rafah, southern Gaza Strip.